Crackdown 3's release is just 9 days away, and to celebrate, we now have the official launch trailer for a game that was originally announced in 2015. Don't expect any radical differences here between the previous two games - you still have a powerful "Agent" that takes on gangs of enemies in a neon filled city given free reign to blow up and shoot up everything in sight. But there's some sad news on the co-op front. One thing we've learned is the game has scaled back from it's four player co-op to just two - something only discovered recently thanks to the official Xbox Store listing. The trailer itself gives you a bit of the back story and shows off plenty of the game's destructive technology. Is it as impressive as what we saw back in 2015? Perhaps not. But damn if this doesn't look like a good time. 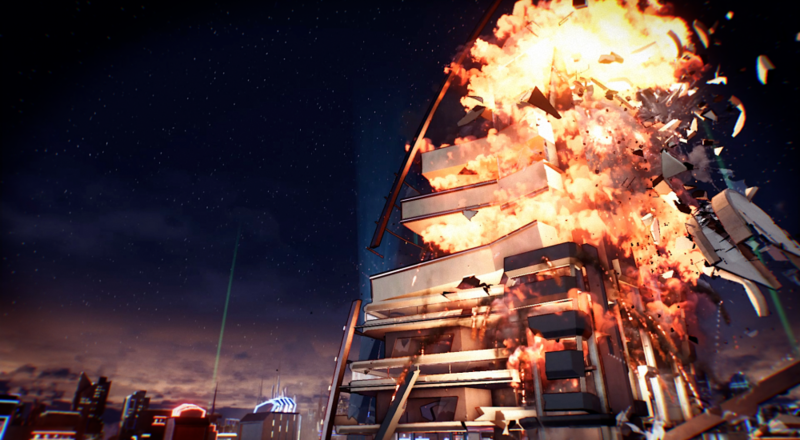 Crackdown 3 is out on Xbox One and Windows 10 PCs on February 15th. Members of Xbox Game Pass get the game for free, or you can snag it at Amazon and support Co-Optimus. Page created in 0.2905 seconds.